Lin, S. et al. Stretchable hydrogel electronics and devices. Advanced Materials 28, 4497-4505 (2016). Liu, X. et al. Stretchable living materials and devices with hydrogel–elastomer hybrids hosting programmed cells. Proceedings of the National Academy of Sciences 114, 2200-2205 (2017). Liu, X. et al. A puffer-fish ingestive hydrogel device. Nature communications (2019). Guo, J. et al. Highly stretchable, strain sensing hydrogel optical fibers. Advanced Materials 28, 10244-10249 (2016). Yu, Y. et al. Multifunctional “Hydrogel Skins” on Diverse Polymers with Arbitrary Shapes.Advanced Materials, 1807101 (2018). Yuk, H. et al. Hydraulic hydrogel actuators and robots optically and sonically camouflaged in water. Nature Communications 8, 14230 (2017). 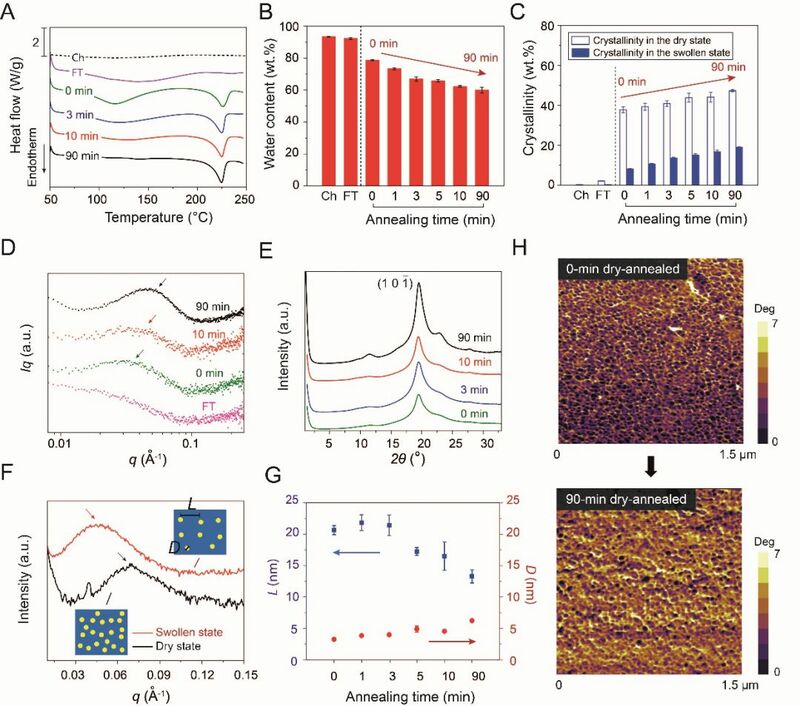 Gong, J. P., Katsuyama, Y., Kurokawa, T. & Osada, Y. Double‐network hydrogels with extremely high mechanical strength. Advanced Materials 15, 1155-1158 (2003). Sun, J.-Y. et al. 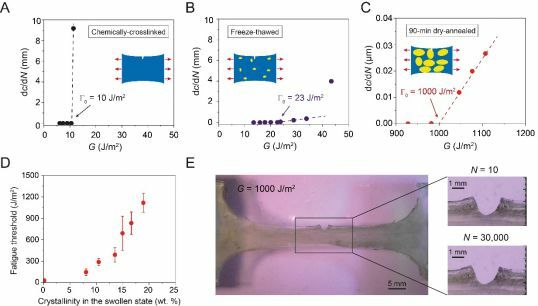 Highly stretchable and tough hydrogels. Nature 489, 133 (2012). Zhao, X. Multi-scale multi-mechanism design of tough hydrogels: building dissipation into stretchy networks. Soft Matter 10, 672-687 (2014). Bai, R. et al. 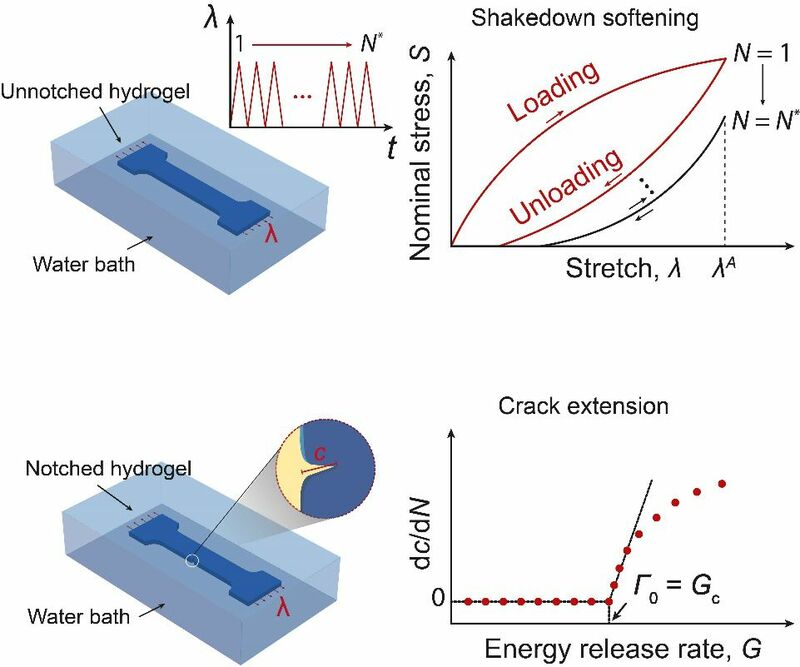 Fatigue fracture of tough hydrogels. Extreme Mechanics Letters 15, 91-96 (2017).